On this day in 1852, Philip Frauenholz and Co. started a new brewery in Oakland, CA. 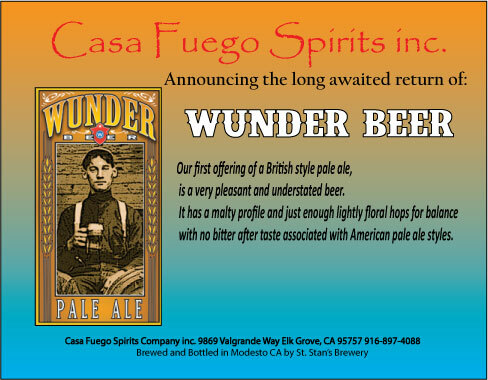 In 1898, the same brewery’s name was changed to the famous Wunder Brewing Company. 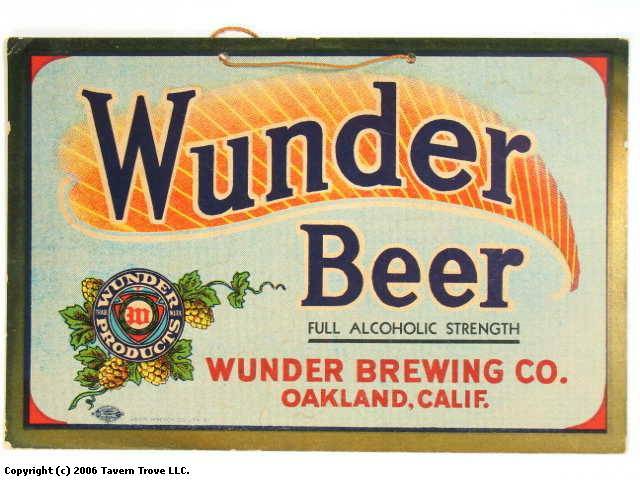 Wunder Beer was made until an earthquake destroyed the bottling line in 1909. The cost was too much to handle, so they had to close. Wunder Brewing made a comeback in 2006, making a few new recipes: chili beer, IPA, Scottish ale, pale ale, and a few more. Due to more financial constraints, Wunder Brewing had to close its doors again. It opened again in 2011 under new management (Casa Fuego Spirits Company). It is still open today! Ever had a Wunder Beer? Here are a few ads to jog your memory of this iconic brew.